The act of brewing coffee each morning is the closest many of us come to performing a daily ritual, and while it can be as simple as pouring hot water over a minimalist brewing device or pressing a button on a percolator, sometimes it’s fun to make a big production out of the process. 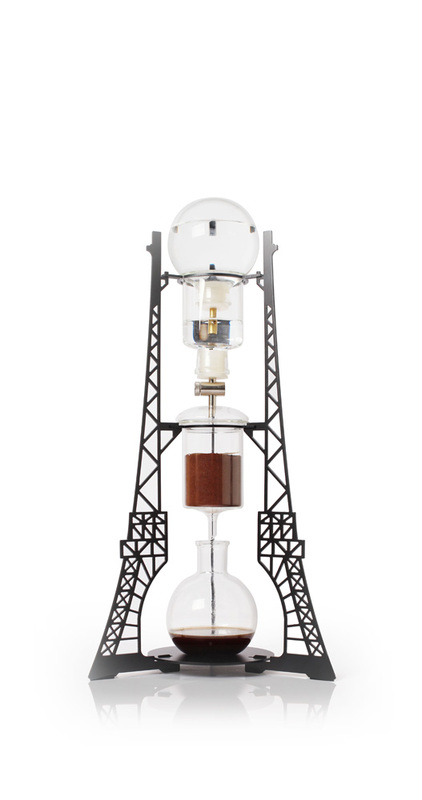 Few coffee brewing gadgets are quite as monumental – in a literal sense – as this intricate Eiffel Tower sculpture by South Korean designs studio Dutch Lab. 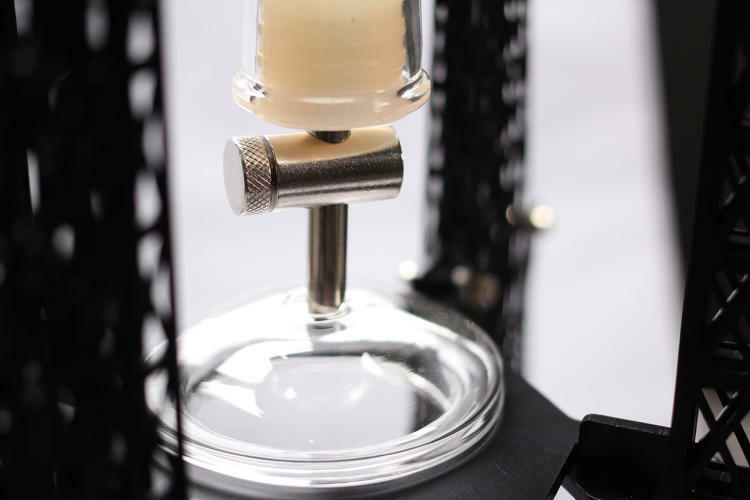 Though it looks just as complex as some other way-outside-the-box coffee makers we’ve seen, like the engine-shaped V12 Espresso Machine, the way this architectural design works is actually quite low-tech and straightforward. 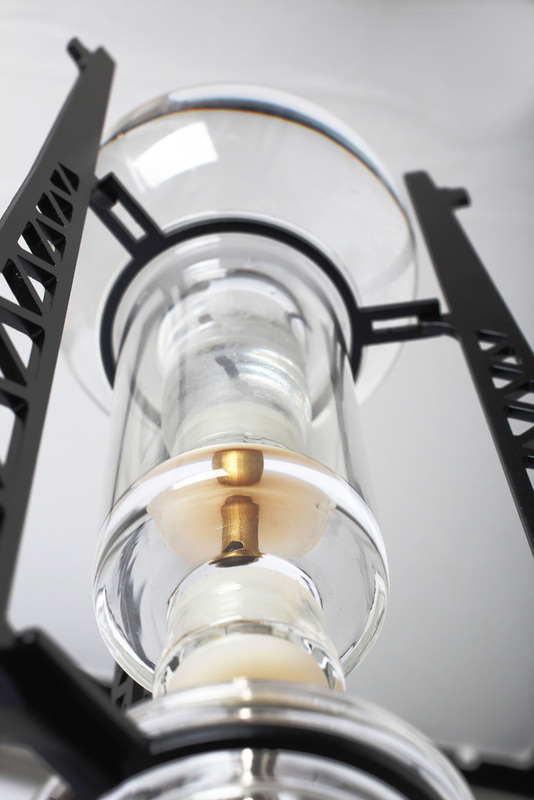 It’s a cold brewer, with water passing from an upper glass vessel and through the ground beans before dripping into a borosilicate glass beaker at the bottom. 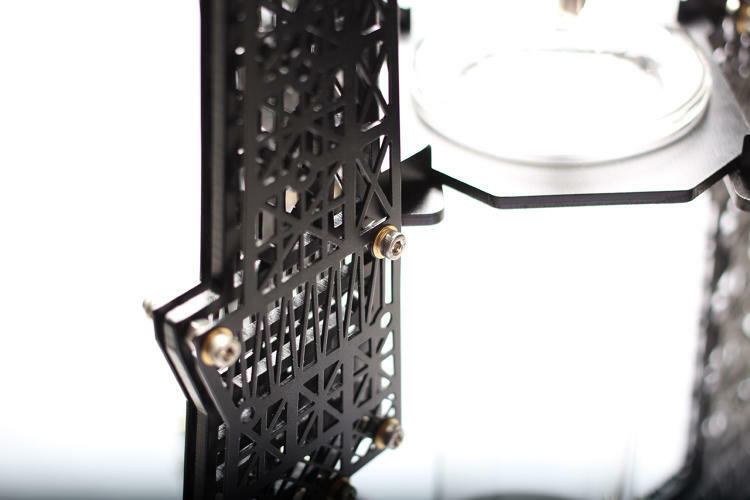 The three-level setup is contained within an intricate black aluminum frame inspired by the Paris landmark. 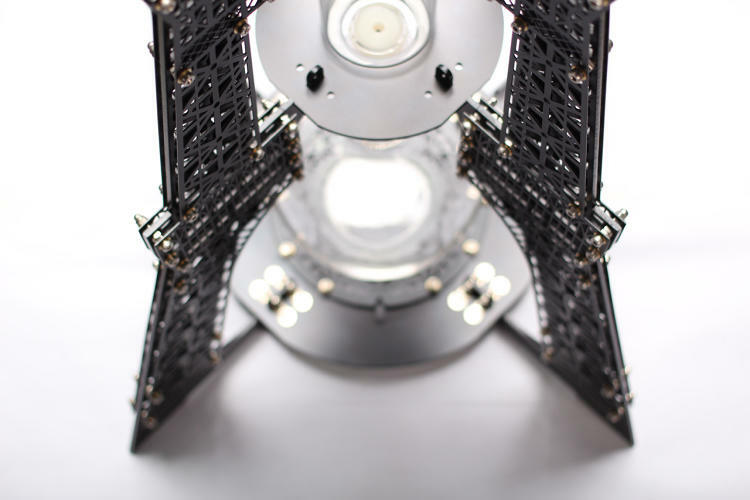 It’s a work of art, meant to be displayed prominently rather than tucked away in a corner of the kitchen, and it’s definitely not made for your last-minute cup of coffee before you run out the door. The cold brew process takes about twelve hours to complete, so you would have to set it up the night before, but it results in exceptionally smooth, rich flavors perfect for iced coffee in the summertime. 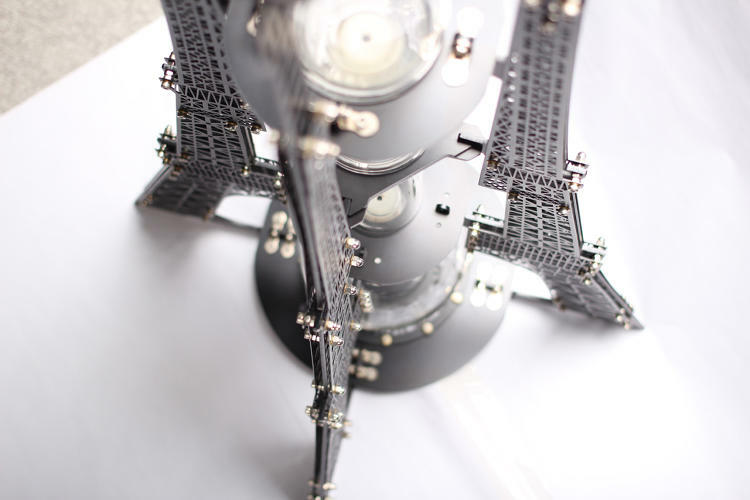 Dutch Lab has released three versions of the Eiffel Tower design in varying sizes, from the 500mL second edition for $420 to the 43-inch-tall 2000mL edition for $2,500. 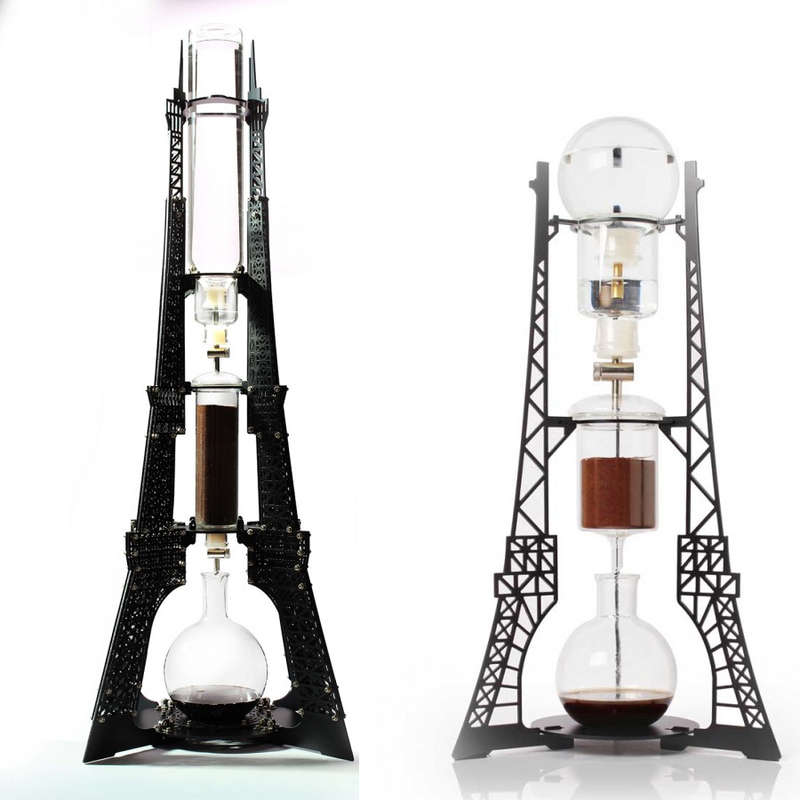 Other architectural coffee maker designs in the series include Big Ben, the Empire State Building and an Art Nouveau creation.